Please contact if you have any questions or need additional information. Kris Kris has 20 Years experience coaching basketball. 7 Years High School Boys Basketball, and 15 Years Boys and Girls AAU, Select Travel and House. Kris also played high school basketball, football and currently plays for the Legends Adult League. He is also a Certified Personal Trainer (Diploma/Certification from National Personal Training Institute (NPTI) / National Academy of Sports Medicine (NASM)). 1) "Work Hard For A Very Long Time!" 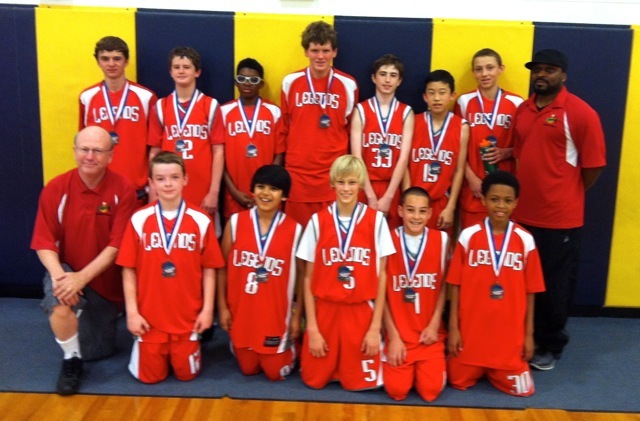 2) "Stronger, Faster and Higher"
Coach McFail's 7th Grade AAU team - Runner's Up - Spring Tournament!